The Iranians, who came into the clash on the back of a 1-0 away victory in the first leg conceded a goal after only 17 minutes when Al Sadd’s Baghdad Bounedjah found the net from the center of the box. Hassan Al-Haydos almost scored the second goal for the visitors on the stroke of the half-time but Beiranvand made a huge save by blocking his strike. Persepolis then found its rhythm after the break and scored the equalizer three minutes later, thanks to Siamak Nemati. Ali Alipour could have made it 2-1 for the home side but Al Sadd’s goalie saved the attempt. 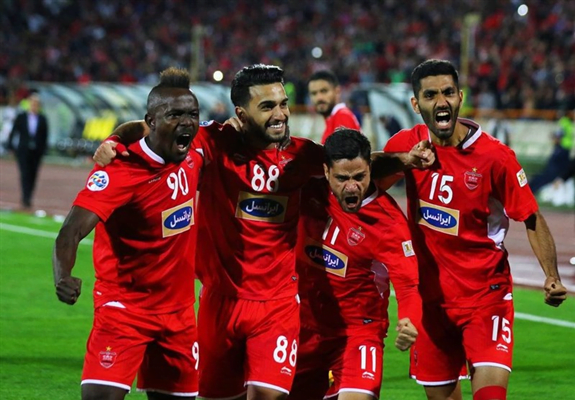 The Qataris kept on attacking and it was four minutes before time that Persepolis’ keeper made another huge save by parrying Xavi’s header over the cross bar. The Iranian club secured its spot in the finals with a 2-1 aggregate win after the match ended 1-1 at Tehran’s Azadi Stadium.